The Bruno hanging light has been designed for use outside and features IP code IP44. 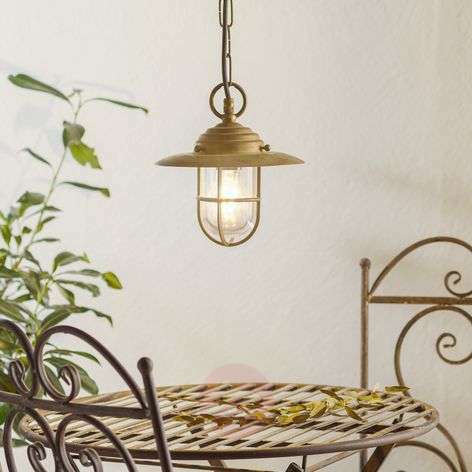 It offers good general lighting, for example in porches. 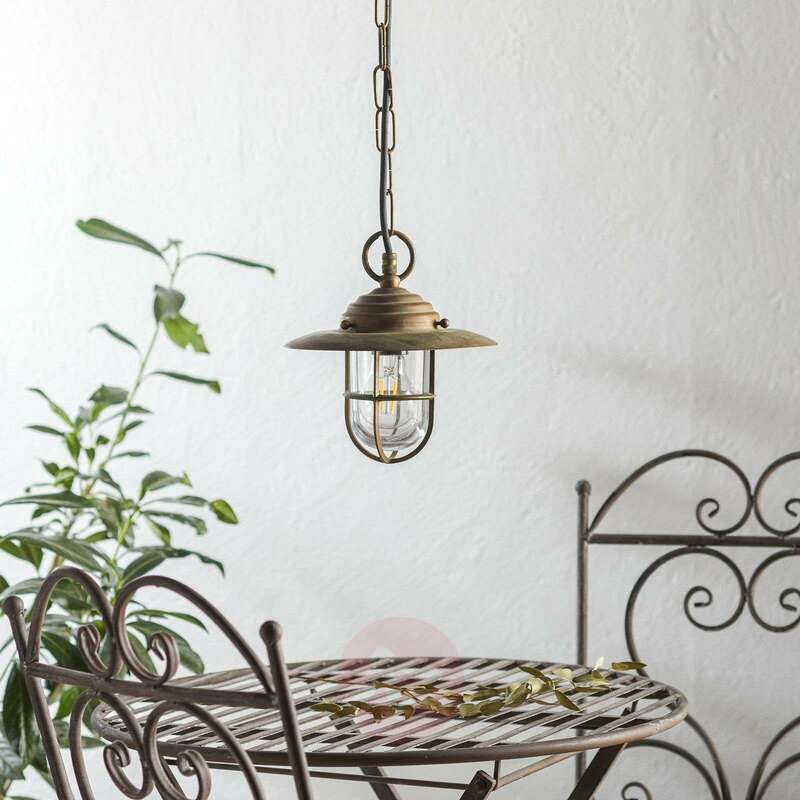 It features a broad brass lampshade, which hangs from a solid chain suspension. An E27 socket lies beneath the protective glass. Bulb not included. The brass cage lends the appearance a rustic look. As a result the light offers both wonderful lighting and a decorative effect. The use of corrosion-resistant brass means that this light is also seawater-resistant.